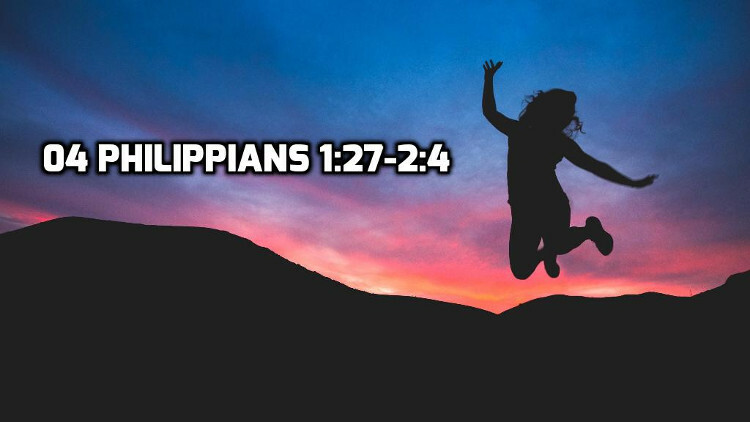 Philippians 1:27 begins the body of the letter. In this section in which Paul urges his readers to live a life worthy of the gospel. Living such a life does not mean that you will live a perfect life. Rather if we actually believe the gospel is true, we now see the world differently and, we begin to view some things as right, proper and good, and begin to view other things as wrong, selfish and evil. And we choose accordingly. Around 60-62 AD, Paul was imprisoned in Rome, and was waiting to learn whether he will be released or executed. The Philippian church generously sent him financial support. Paul wrote this letter to thank them and send back news to them. to update them on his circumstances. In 1:1-11, we saw the first 2 purposes. Paul expressed his gratitude for their faith that led them to support him financially. He prayed that they would have a genuine faith that manifests itself in wisdom which leads them to love one another, and that they would persevere in that faith until the end. The gospel was spreading through the elite Roman guard as they took turns guarding him and hearing him teach. Others had started proclaimed the gospel while Paul was imprisoned, some out of good motives and some out of selfish motives. The introductory remarks end with 1:26 and 1:27 begins the first section of the body of the letter. This section continues through the end of chapter 2. 1:27 is the thesis statement or main point of this section. Saving faith is not a theological test that you can forget once you turn in your paper. It is a belief that should change your life. Some of the choices we make conform to and reflect the implications of the gospel. We would say those choices are worthy of it. Some of the choices we make are contradictory to the values, principles and applications of the gospel. Those choices are not worthy of the gospel. This relationship between belief and lifestyle does NOT mean we will live a perfect life, without sin or failure. Paul urges them to stand firm in the face of persecution and remain united in their thinking, purposes and faith. Paul talks about unity because it was an issue his readers were struggling with at the time. He wants them to be unified around their fellowship in the gospel and to have the kind of unity that results from being committed to the same gospel. Unity does not mean sameness. Our goal is oneness not sameness. We can be diverse and be unified. Christ unifies us, not by making us the same, but by teaching us in our diversity to follow the same gospel.